Jubilee! contains sequences not found on any stage in the world, including amazing aerial stunts and some of the most beautiful showgirls on The Strip. The show has a $3 million opening number, complete with superb computerized sets, surround sound music, special effects, lights, sound, choreography and costumes by world-renown designers Bob Mackie and Pete Menefee. 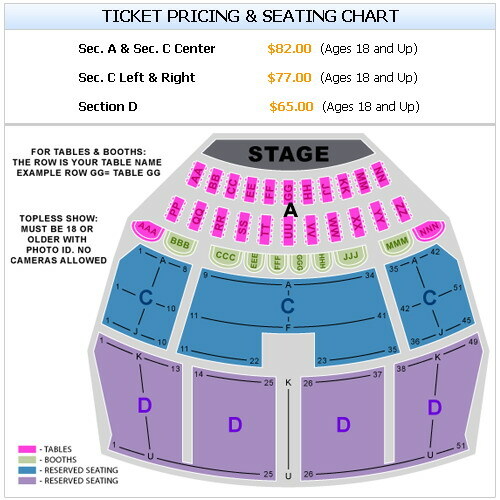 Able to comfortably seat 1,040 guests, including one row of booths and two rows of tables with swivel chairs, the Jubilee Theater allows every seat to have a clear, straight-on view of the stage and the performers. For over 20 years Donn Arden's Jubilee! has treated visitors to this spectacular floorshow of music and dance. There are not many other shows on the Strip that can claim this kind of staying power. Jubilee! has done so in a convincing fashion. Guests now have the opportunity to experience the All-Access Backstage Walking Tour, which gives them a once-in-a-lifetime opportunity to get behind the scenes the show. The tour is given by a Jubilee! showgirl or showboy. The tour can be experienced Mon., Wed. and Sat. at 2pm. Ticket holders must be 13 years or older. 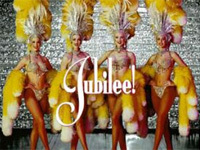 Jubilee is the original Vegas show still standing strong and its a legend show in Las Vegas which located at Bally's Hotel and casino where visitors addicted to this casino since 1980s. Paris Las Vegas adjacent to Bally's also and offers great slot machines and table games; roulette, baccarat and dice. I always have good time at the Bally's as I had back in 1980s. I recommend this hotel and its show Jubilee with its original stuff and customer service. Jubilee is a must show to watch while staiyng at Bally's apart from gambling.